Our EVO-HPH Kevlar comes with the Bose A20 Aviation Headset. 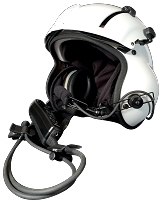 Get the A20 ANR system for a powerhouse helmet with features not found in other helmets. ALL HELMETS FEATURED ARE MADE BY EVOLUTION HELMETS AND HAVE BEEN TESTED TO MIL-H-43925D AND ANSI Z90.1B. EVOLUTION HELMETS IS NOT ASSOCIATED WITH THE GENTEX CORPORATION OR IT'S DISTRIBUTORS! BOSE DOES NOT ENDORSE THIS PRODUCT. INSTALLATION OF A BOSE HEADSET INTO THIS HELMET WILL VOID ANY WARRANTY OFFERED BY BOSE. BOSE HAS NOT TESTED THIS HELMET FOR SAFETY. 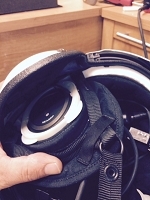 ANY WARRANTIES RELATING TO THIS HELMET, INCLUDING THE INSTALLATION OR USE OF A BOSE HEADSET IN THE HELMET, ARE SOLELY FROM EVOLUTION HELMET -- NOT BOSE. EVOLUTION HELMETS IS NOT AN AUTHORIZED DEALER OF BOSE PRODUCTS.